First Alarm Security Services maintains a company-wide community service program, and an active quarterly volunteer program at their East Bay Branch. In 2017, they were involved in many service projects, both financially and with their time and labor. 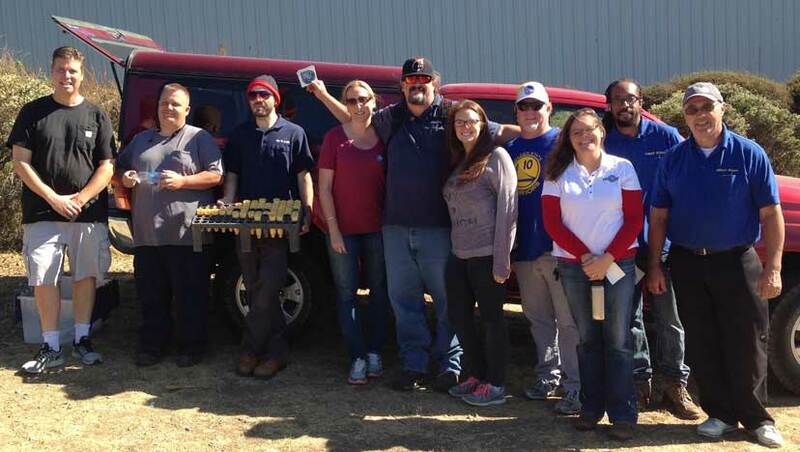 “These organizations are just hoping for at least one person to help, so it’s awesome when you show up with fifteen,” says the company’s East Bay Branch manager, Shannon Beritzhoff. Beritzhoff leads the quarterly volunteer program at the Richmond, California office. Every three months, they gave their time and money to participate in a volunteer event in their community. During 2017, the passionate security professionals of First Alarm volunteered at Save the Bay, the Law Enforcement Torch Run, the Richmond Police Activities League and the “Swim a Mile for Women with Cancer” event. In their work for Save the Bay, First Alarm employees spent time cleaning thousands of pods used to plant new plants at the Martin Luther King Jr. Nursery in Oakland, CA. Beritzhoff says that after the project, employees thanked her for the team-building opportunity – a term she did not apply to the outing beforehand, but one that shows the positive, service-oriented mindset of these passionate professionals. After this event, they passed out water and snacks at the Law Enforcement Torch Run – an event benefiting children with special needs through the Special Olympics of Northern California. “During the torch run it was amazing to see the faces of the actual people we were helping – whether they be a customer or not,” says Beritzhoff. The work they did next benefited at-risk children through the Richmond Police Activities League. This organization provides a place for kids to go after school and during the summer. The league’s facility needed an upgrade for security reasons, so First Alarm volunteered 16 hours of technician labor to install a camera system. The final event the company volunteered at for 2017 was the swim to support the Women’s Cancer Resource Center in nearby Berkeley, CA. Beritzhoff signed on to swim in the event, and many employees gave financially and volunteered to help at the event. “Supporting local causes allows us to be close – we can actually see the faces of the people we are helping,” says Beritzhoff. ESX recognizes First Alarm employees as Passionate Security professionals for their continual dedication to community involvement and charitable giving. First Alarm employees frequently attend and are involved in ESX. Former company president Dave Hood has led multiple sessions in the ESX education program.